Somerset, New Jersey-based Henson Consulting International is a high-touch and local firm with a global mindset. We work closely with small and mid-size organizations in the New Jersey, New York and Pennsylvania region who have, or are initiating, international operations or relationships. We also have considerable expertise working with organizations with locations or interests in the Asia-Pacific region. Uncertainty about whether they have the right people in the right jobs especially as their operations become increasingly global. Inability to manage change effectively throughout their organizations. Individuals and teams working globally who are unaware of cultural norms in other countries and as a result are losing credibility and business opportunities. Internal conflicts in senior ranks which are hurting employee morale and productivity. Difficulties integrating human resource capabilities and human capital across complex, cross-border M&As. High potential or talented employees who are currently underperforming. Our data-based recommendations and solutions are rooted in a strong knowledge of what works in the “real world.” Our founders, both of whom have PhDs, have hands-on experience and are expert at integrating science and practice effectively. We believe in a systems approach to solving people challenges. It is not just about the individual, but also about the situational forces and context. We approach every client engagement by paying close attention to its setting and gaining an understanding of both the individuals and their situation. Dr. Ray Henson is an organization and management consultant with over 25 years of global experience with various Fortune 500 companies, including Merck & Co., Avon Products, Merrill Lynch, and Citigroup. Ray is on the Rutgers Business School faculty, where he teaches MBA students. As an executive faculty member, he also travels to Singapore annually to teach Global Leadership as part of the Rutgers’ International Executive MBA program. He holds a Ph.D. in Industrial and Organizational Psychology from the University of Michigan, where he was a Fulbright scholar. Ray is a member of the Society for Industrial and Organizational Psychology, where he has led several committees, and the American Psychological Association. 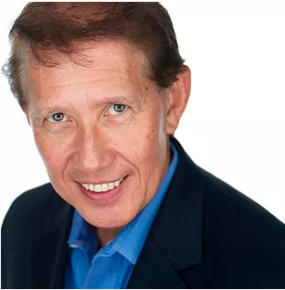 Ray is a licensed psychologist, and is certified in the Hogan Assessment System, Myers-Briggs, DiSC, Balanced Scorecard, and Targeted Selection. Read Ray’s blog for timely insights on organizational behavior and global management topics. His new book, Successful Global Leadership, is now available at Amazon and other book retailers. Successful Global Leadership was awarded a Bronze Medal in the 2017 Axiom Business Book Awards and is an award-winning finalist in the 2017 International Book Awards competition, where the book competed with over 1500 entries. 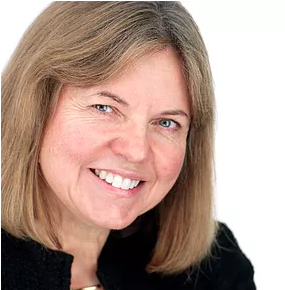 Dr. Sandra Marshall is a business psychologist and executive coach with extensive experience as a consultant and internal Human Resources executive. She helps clients manage their key talent pipeline by enhancing their selection, appraisal, development, engagement, and succession planning practices. Sandra also works with key support functions including IT, HR, legal and R&D, helping them to contribute more effectively to their organizations by better understanding and partnering with their internal customers. Providing succession planning, executive assessments, and executive coaching. She is certified to administer executive assessments such as the Hogan Leadership Series and is a certified executive coach. Sandra is an Adjunct Professor at New York University where she teaches in the Masters in Management and Systems Program. Sandra is a licensed psychologist and is past President of the Metropolitan New York Association for Applied Psychology (METRO).